DFW has a remarkable number of ways to cart, carry and guide you around so that you can get the lay of the land and forge new experiences. Are you a visitor, seeing family; a newcomer, looking for your future neighborhood; or a long-time native, who hasn't experienced the "other side of town" in a long time? You might be surprised at all the different ways you can get around to see the nooks and crannies of cities in North Texas. Bonus Fun Stuff: 13 Fabulously Fun Ideas for Fantastic Free Date Nights in DFW. A ride on eFrogs has been on my Dallas bucket list since I discovered the eco-friendly car service. It also inspired me to look into other fun rides that take you around some of DFW’s most scenic places. I found more than a few – you can take your pick of vehicles too! 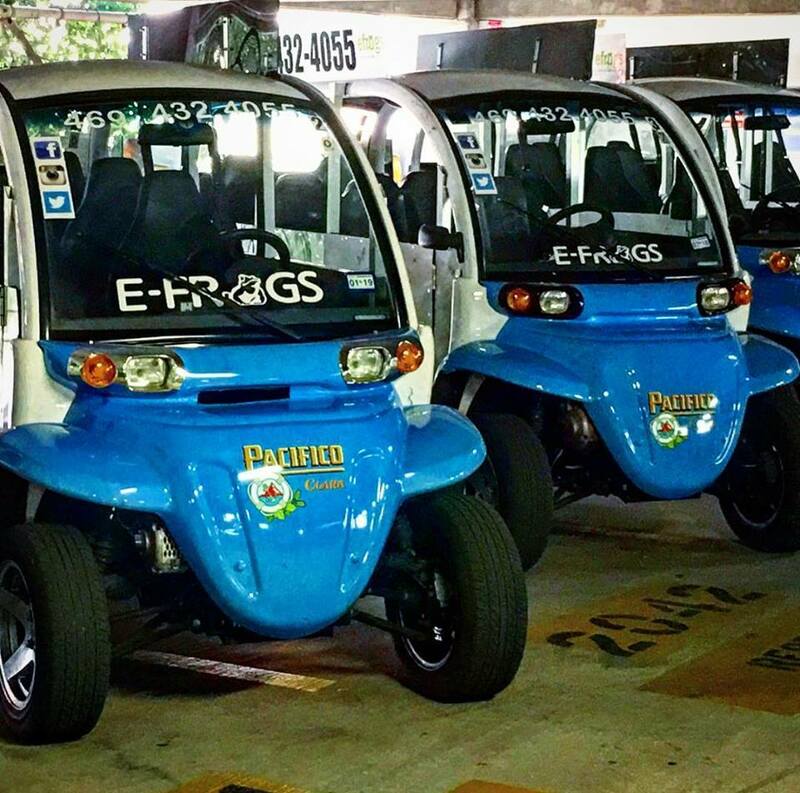 The first time I heard about eFrogs, I was kind of blown away by the cute electric vehicles that shuttle people around downtown Dallas for nothing but driver tips. The service covers a large area, and you just text to request a ride to your destination. The shuttles are noticeably cute, and advertising graphics help subsidize the rides. You can also book tours with the company that look to be both affordable and fun. She may look vintage, but Molly is thoroughly modern, and you’ll be glad for the air conditioning. This free shuttle circles Sundance Square and up to the Fort Worth Convention Center stopping at nearby hotels and points of interest. Ride the 10-15 minute circle to get the lay of the land and then hop off and back on as you like to shop, eat, and play in Fort Worth from 10AM to 10PM daily. Be sure you visit the Fort Worth Water Gardens across from the Sheraton Hotel stop. From the Worthington Hotel stop, it’s just a few blocks to the historic Tarrant County Courthouse. There’s also a stop just steps away from Bass Hall, the beautiful performing arts venue adorned with 48-foot tall angels sculpted from Texas limestone. 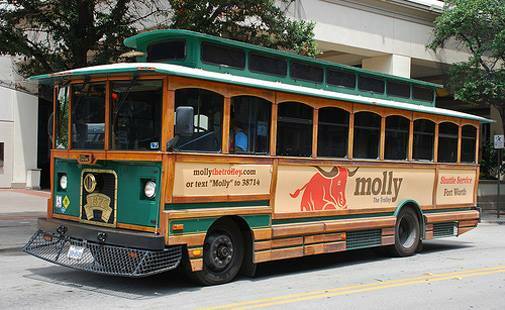 If you heard the Molly route wasn’t free anymore, that was true for a time, but generous donations to Trinity Metro from supporters (including hotels on the route, the downtown association, visitors bureau, and more) have made free rides possible again on an ongoing basis. 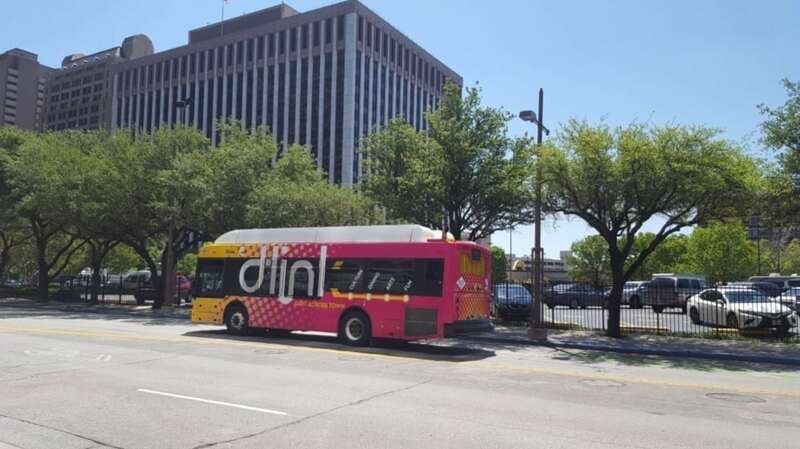 You may be familiar with the bright yellow DART busses around Dallas and some of its suburbs, but the downtown D-Link is something special. To start with, those busses are yellow and pink, to help visitors and newbies identify this free shuttle service around the downtown area. As of January 2018, D-Link runs every 15 minutes, 7 days a week, from 10:30 AM to 9:30 PM. You can catch a D-Link bus at Union Station (also a TRE stop), the Convention Center, or any of more than 15 stops. Start a fun day at Dealey Plaza and the “Old Red” Courthouse and then jump on the D-Link for a ride down Main Street. If you get off at Main and Akard you can see a handful of Dallas icons within a couple of blocks of each other. There’s Pegasus Plaza under the shadow of the Magnolia Hotel with its Pegasus icon on top. Stroll by The Joule hotel or pop inside to see the artwork and shops. The (much) larger-than-life eyeball sculpture (“Eye” by Tony Tasset) is right across the street. Wander a little further to the flagship Neiman Marcus store and its artistically designed shop windows. Keep walking up Main street and wait at the next pink and yellow sign. Now ride the D-Link to your choice of the Arts District, the Dallas Farmers Market, Deep Ellum, or one of several other fabulous places. The D-Link also connects to the Dallas Streetcar, which is also free and runs between its stop near Union Station and the Bishop Arts District. The Bishop Arts District is in Oak Cliff, one of Dallas’s historic neighborhoods which was its own town until it was annexed by Dallas in 1903. The area still maintains an independent vibe, and Bishop Arts is known for its creative and original (and highly celebrated) restaurants and boutiques. You’ll find murals of multiple genres scattered among the quaint (and sometimes historic) shop buildings. On the other end of its route, D-Link connects with the McKinney Avenue (or M-Line) Trolley. 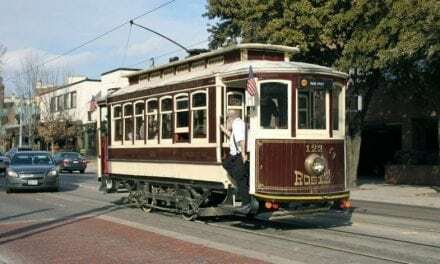 The trolleys that run this line are authentic, vintage electric streetcars. The trolley collection has been assembled from the Dallas area and various other cities including Melbourne, Australia. 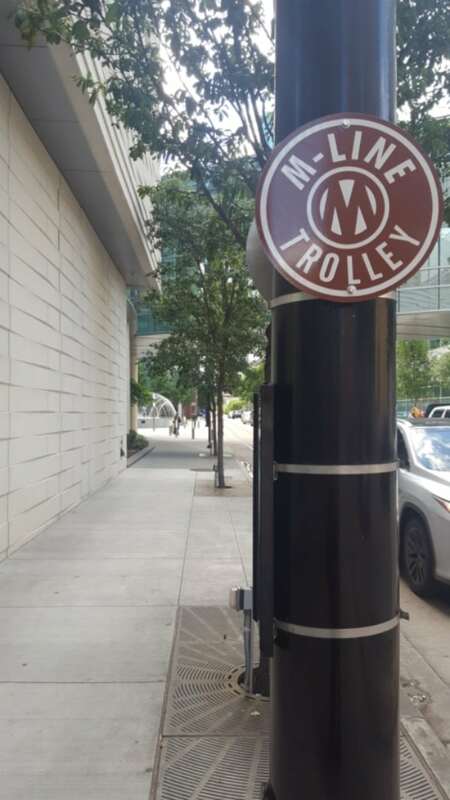 After exploring the Arts District or Klyde Warren Park, the M-Line will give you a free ride through Uptown, another notable food neighborhood. Shop, dine, or play at walkable West Village properties. In the West Village, you’ll find at least one Instagram-able mural, and my favorite burger spot – Village Burger Bar. OK, Milo’s last name isn’t really Jetson, but this driverless electric vehicle in Arlington is quite futuristic. 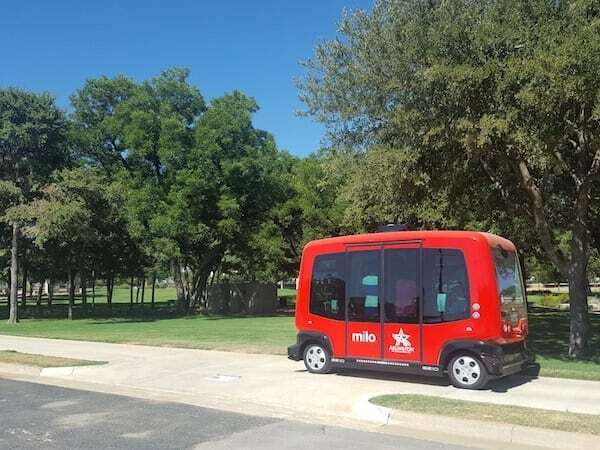 Milo, which stands for mile zero, is one of the first autonomous vehicle shuttle programs in the US. With a certified safety operator on board, the shuttle runs on sidewalks and off-street trails near the Rangers and Cowboys stadiums in the city’s entertainment district. ​Join us to ride Milo between 6p and 7p on Monday, July 30th in Arlington to take a free 15-minute tour! 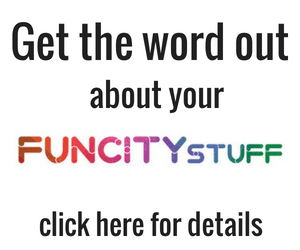 Sign up here for more details. I actually took a ride on Milo and had a great time learning about this technology. I never expected to check “rode a driverless vehicle” off my bucket list this soon! Arlington leased two of these low-speed, driverless vehicles from France for the pilot program which is scheduled to end in August. Ann Foss, Ph. D., of the Comprehensive Planning Department in the City of Arlington has managed the pilot program and suggests that a pilot program with on-street vehicles could come as soon as this fall. 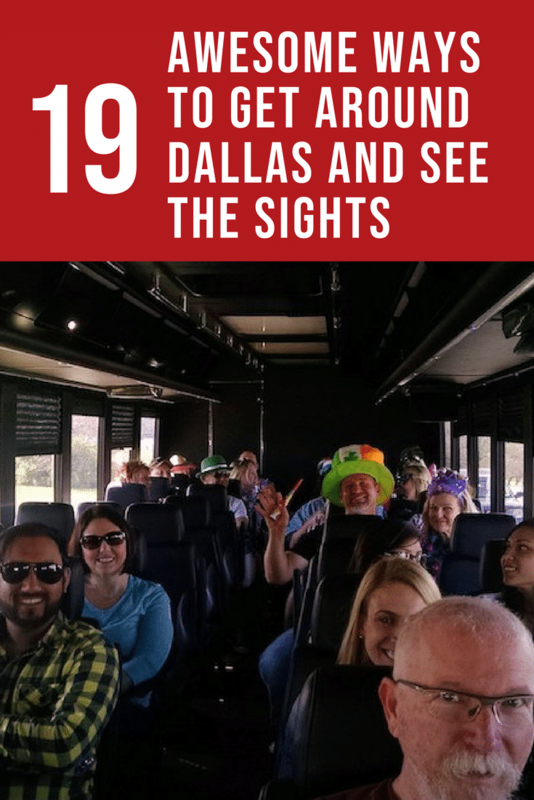 If you like your sightseeing with a dash of food and drink samples, there's an award-winning shuttle bus in town called Dallas By Chocolate and Dallas Bites Food Tours. Run by the same owners, the first takes you on dessert tours in niches such as Deep Ellum, Bishop Arts, uptown, and more, introducing passengers to some of the most popular chocolatiers and bakers in town. The latter, Dallas Bites, gets you hearty food samples of the stuff Texas dreams are made of: margaritas, tex-mex, BBQ, pizza and the like. Trust your gut, literally: you'll not only get to know the area from guides who live here, but you'll learn where the best noshes are too. Around the holidays, they take crowds around to the best Dallas neighborhoods for awesome lights, too. 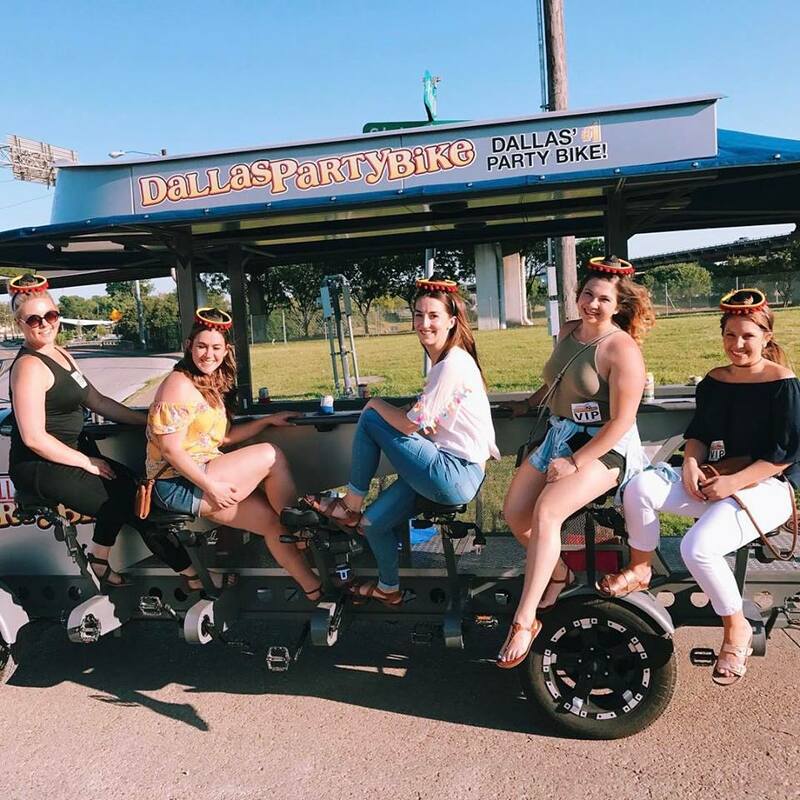 Both Dallas and Fort Worth have party bike tours. They’re owned by different companies, but the rules around party bike rides are similar at both companies. You can book the whole pedal bus or book individual seats on public tours. You can bring your own cooler with soft drinks, beer, or wine (and snacks if you want them.) Both bikes are people powered, but they have an assist motor to help keep things moving. Now, here’s the fun part. 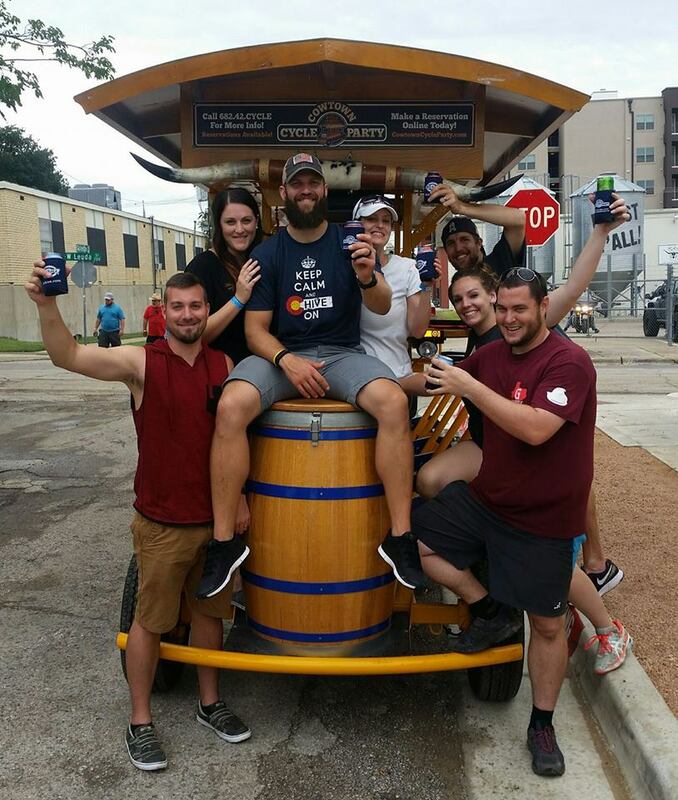 At Dallas Party Bike, the specialty is bar stops in Deep Ellum. Pedal around the pub scene on the the bike while enjoying the great sound system and LED lights. In Fort Worth, Cowtown Cycle will take you on a two-hour ride through downtown and near southside. If you’re booking the full bike for a tour, you can plan stops or make decisions about your route spontaneously. Get out and explore or pedal along for the full tour. This party company also lets you rent the whole bike or purchase single seats. 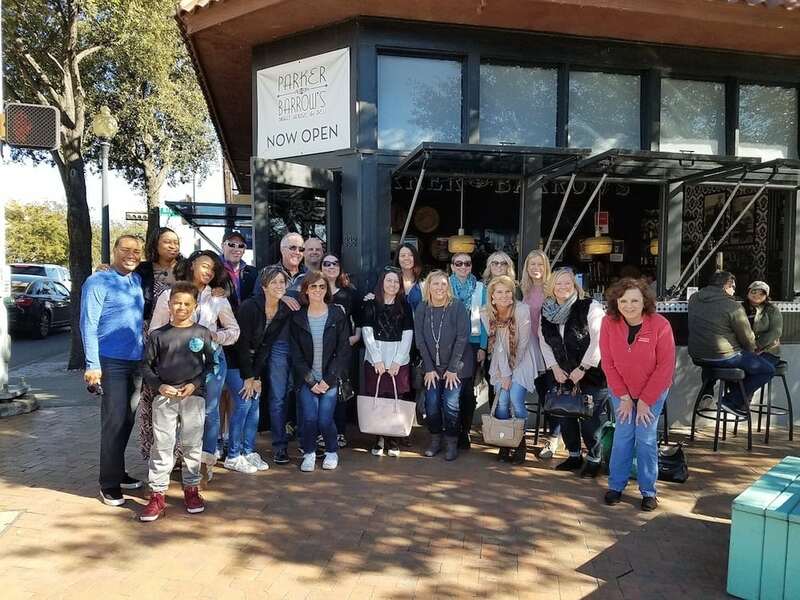 The regularly scheduled “Make New Friends Mixer Tours” sound like tons of fun! I looked for some bicycle rickshaws around the DFW area and couldn’t confirm any of the ones I found were still operating. Except one, and it looks super fun. In Weatherford, solopreneur Phyllip Hickman operates a no-fare pedicab ride called the Rickshaw Rabbiteer. 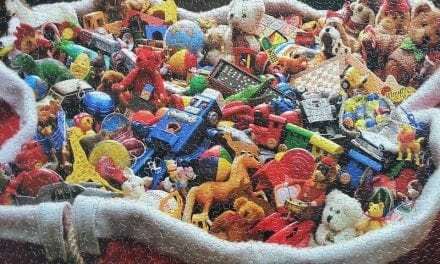 I spoke to Mr. Hickman—he’s retired military and says he started the business to stay in shape, meet friendly people around town, and bring in some extra income. He runs the business on the tips he makes.You may spot him during First Monday Trade Days when a ride with your newly purchased treasures will come in handy. Hickman offers rides around the courthouse square and at various other events in Weatherford but also accepts advance booking for special events, parties, and weddings. 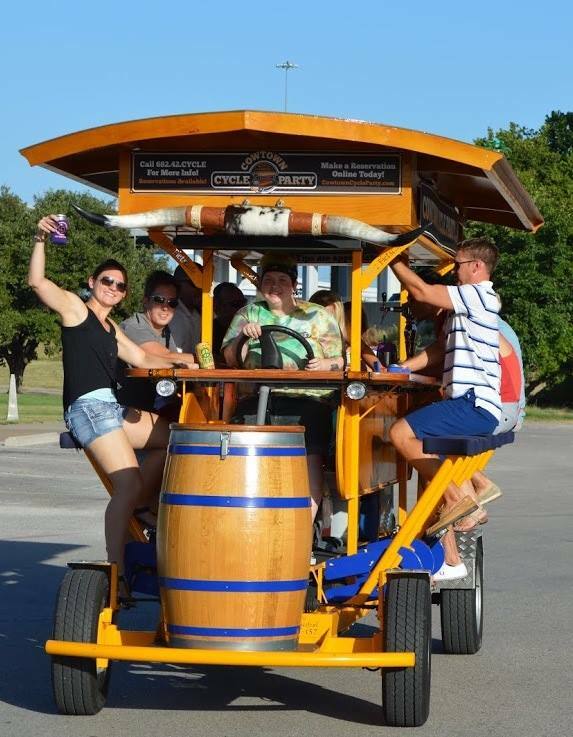 He can bring the pedicab to any area in Dallas – Fort Worth. He prefers to give rides on bike trails and residential areas – not highly trafficked areas, since the rickshaw is a low-speed vehicle. Advanced booking is required for private rides, and Hickman says he’ll dress and/or decorate the pedicab for your occasion. Pedaling is BYOB in Denton, and by that I mean bring your own bike. Following citizen complaints about haphazard abandonment of rideshare bikes, the city tightened regulations on the ride share companies, and they all pulled up stakes. One bike share service remains; it’s engaged in a pilot program offering free bike rides on the UNT and TWU campuses. If you have your own bike, you’ll enjoy the Denton BranchRail Trail that runs alongside the DCTA A-train from Denton to Lake Dallas. It has about 20 access points including one near the Target at Loop 288 and one at North Central Texas Community College in Corinth. If you’d like to experience the scenery of Lake Carolyn and the Mandalay Canal in Las Colinas, you have your choice of water-travel vehicles to do it in. You can start with the aqua trike paddle boats from Irving Water Fun. You can rent these for 55 minutes at a time and pedal your way around the Lake. If you don’t want to pedal, you can book a tour of the lake and canals on Lady Carolyn, a Lear Electric Boat. If the manufacturer name Lear sounds familiar, you’re right – it’s the same people who make the jets. You can book individual or multiple seats on these tours, or arrange private charter service. Tours and rentals sell out regularly, so be sure to check available times and book online. For the ultimate in pampering or romance book a gondola ride. Add appetizers, a gourmet dinner, or other enhanced (and romantic) options. The operator asks that you please note that there are multiple boarding locations. Check your reservation confirmation for the boarding address. Be your own gondolier! Try stand-up paddling on Lake Carolyn if you like. Stand Up Paddle North Texas offers rentals, lessons, meet-ups and more. 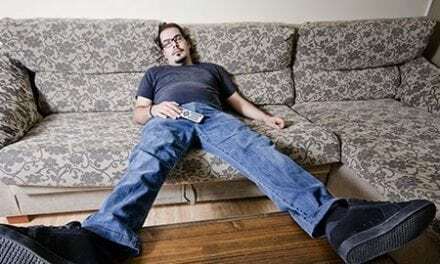 The tagline for Harder Concepts sums it up best: “Two brothers, Five Pubs & Taverns, One Nightclub, and a Big Red Bus!” If you love Mucky Duck in Addison or Ringo’s Pub in Plano, you’ve experienced the hospitality of Harder Concepts. They’re all over the map both in style and in North Texas locations. One of their latest additions is a double decker party bus used for fun events around the area. 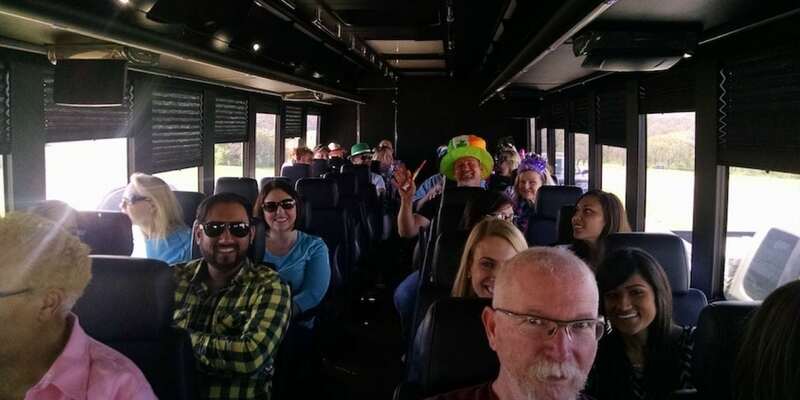 Past events have included food tours, pub crawls, and rides to FC Dallas and Frisco Roughriders games. No matter where your departure and destination locations are, you’ll have a great time and see some fun parts of DFW. Follow @harderconcepts on Facebook to keep an eye out for future events. If the views of nature are more in keeping with your idea of seeing the sights, you might want to set out on this adventure in Plano. At GoApe, you can take a tour through (and above) Oak Park Nature Preserve. 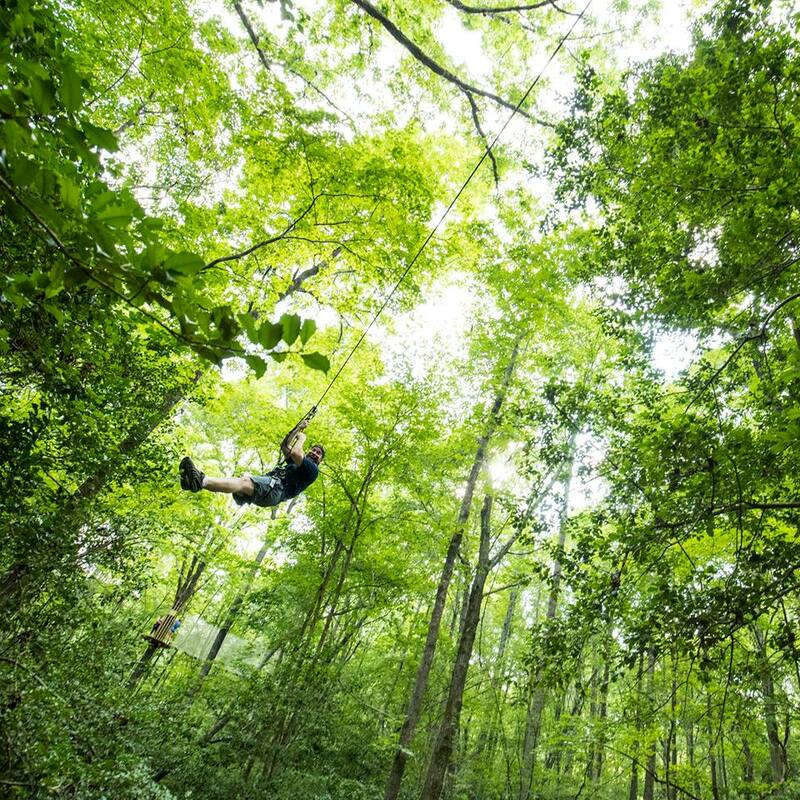 This experience isn’t just a zipline, although there are five ziplines along the adventure trail. You’ll also encounter Tarzan swings, a ladder bridge, and almost 40 other suspended obstacles. The full adventure lasts from two to three hours of climbing and playing in the forest canopy. I know, I made you think of horseback riding, and you can definitely do that in DFW. But the final ride on this tour I’m giving you now is a sunset boat cruise on Lake Ray Hubbard. ​Harbor Lights offers sunset cruises on a regular basis along with many other cruise options – dinner cruises, wedding cruises, family cruises and even themed parties like a dance night and a murder mystery cruise. You can book a seat (or two) on a public cruise or arrange a private cruise for small or large groups. Public sunset tours around the lake take about an hour and a half, and you can bring your own adult beverages and your own picnic too. Sodas and other setups are provided. 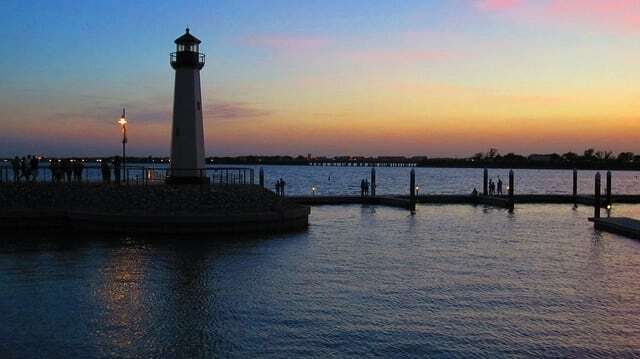 Lake Ray Hubbard is a man-made lake created by building a dam on the Trinity River in 1967. Parts of the lake are in Dallas, Kaufman, Collin, and Rockwall counties. The Harbor is a retail, dining, and entertainment center right on the lake. You can enjoy a stroll through the shops and restaurants before or after your cruise – one of the most scenic rides in DFW. Bonus Boating: Themed Dinner Cruises on Lake Lewisville by Arispop look like great date nights to me. Do you have a favorite scenic or sightseeing ride near you or a tour you’d recommend to a friend? Let us know in the comments or on our Facebook page. Kristina is a freelance writer and digital content producer who loves wordplay, new experiences, and historic downtowns. A lifelong DFW resident, Kristina loves to share fun facts, insider tips, and the occasional really bad pun. Her latest digital creation is a fresh (and fun) way to pick a place to eat in Dallas. This is the Rickshaw Rabbiteer. All the information about me is correct. Thank you for the good write up. To the general public: I’ll do the best I can to please and serve you based upon the needs that you express to me. Just call me and leave your name, phone number, and message. (Telemarketers are forcing me to screen my calls.) Hi Ho Donkey! Away! The Rickshaw Rabbiteer rides again. You’re a good guy. 🙂 Thanks for being awesome.